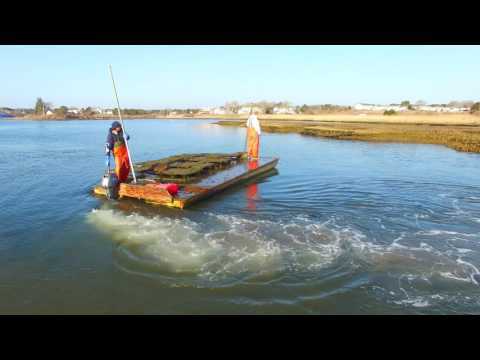 Join us on a scenic and interactive oyster farm tour. The farm tour is guided by Stephen Wright who is chock full of oyster knowledge. The tour begins at our shore-side facility on scenic and historic Oyster River. 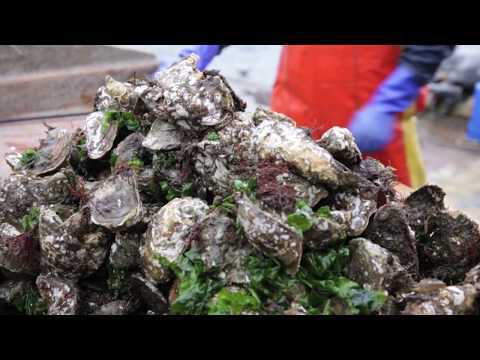 Here you will see how our operation comes full circle with freshly harvested oysters leaving our wholesale facility for local delivery and also see the seed oysters starting their journey in our floating upweller. From there we embark on a scenic voyage via oyster barge up river to the Oyster Pond where our nursery and final grow-out lease are located. 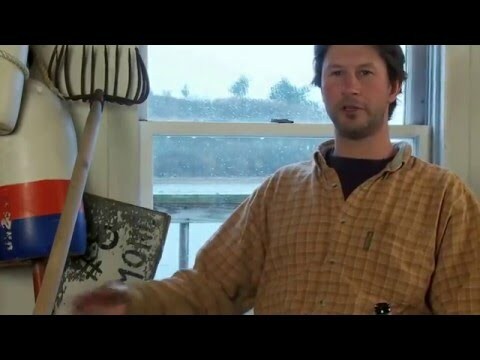 Here you will learn the various steps and processes of cultivating 1.2 mm oysters to 3 inch product, finally landing on our processing barge we discuss the ecological benefits of the farm, partake in some oyster trivia and harvest your own oysters which we then serve up back at our private raw bar on the River. The tour lasts an hour or more. 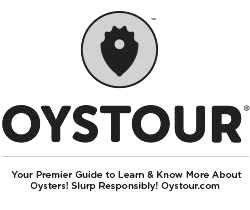 We also offer the tours for corporate events and private gatherings, perfect for team building, bachelor and bachelorette parties, birthdays etc. Children under the age of 12 need to provide their own life vest via their parents or guardians. Refunds are only issued should we cancel a trip due to poor weather conditions or there are insufficient ticket sales for a particular date.